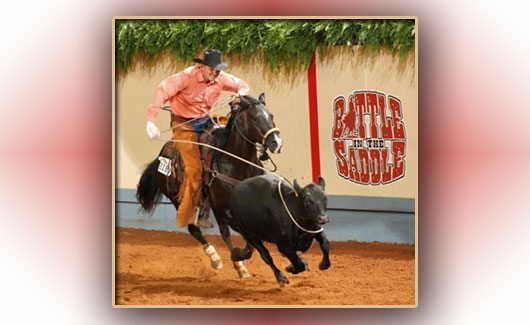 During the 2011 American Quarter Horse Association Convention, the AQHA Show Council approved a new class to join the family of AQHA-approved shows. Ranch horse pleasure will begin as one combined class, with open, amateur and youth exhibitors. The judged class will have three to five suggested patterns, which will be scored based on a proposed score sheet. A judge may also design his or her own pattern made up of the required maneuvers and three of the optional maneuvers. Points earned in the class are eligible for the AQHA Incentive Fund payout for horses, and no horse may cross-enter (i.e. a junior/senior western pleasure horse shown at a show is not eligible to show in the ranch pleasure at the same show; youth western pleasure horse may not show in ranch pleasure; amateur/Select amateur western pleasure entry may not show in ranch pleasure). The ranch horse pleasure horse should reflect the versatility, attitude and movement of a working horse. The horse’s performance should simulate a horse riding outside the confines of an arena and that of a working ranch horse. This class should show the horse’s ability to work at a forward, working speed while under the rider’s control. Required movements include the walk, jog and lope in both directions; the extended jog and lope in at least one direction; stops; and a turn to change directions. Three of the following maneuvers must be included: sidepass; turns of 360 degrees or more; change of lead (simple or flying); walk, jog or lope over a pole(s); or any other reasonable combination of maneuvers that a ranch horse would perform. The maneuvers may be arranged in various combinations with the final approval by the judge. The overall cadence and performance of the gaits should be as those described in Rule 447 (a), with an emphasis on forward movement, free-flowing and ground-covering for all gaits. For more information on ranch horse pleasure and other approved classes, visit www.aqha.com/showing. Sounds like a fun class, I’m going to keep my fingers crossed that it makes it to the Alberta AQHA shows! I agree with Andrea – that would be a fun class to enter.